On Wednesday March 19, a Dunnellon man was arrested after allegedly having 10 pounds of marijuana in his vehicle. 46-year-old Justin Valentine was pulled over after deputies received reports regarding a reckless driver. Marion County Sheriff’s Office deputies received a call about Valentine’s driving just before 9 p.m. When they went to investigate the matter in the area of the 4300 block of East Highway 40, they observed his vehicle hit a curb after crossing the center line. Deputy Gerald Boatright alleged that upon pulling Valentine over, he detected an odor of alcohol on his breath, and according to the incident report also smelled marijuana. Valentine was arrested after failing a field sobriety test, which he agreed to take. Officers searched Valentine’s vehicle, and located what is reported to be between $35,000 and $50,000 worth of marijuana. Officers found hydroponic marijuana in 18 one-gallon capacity freezer bags inside a black duffle bag in the trunk of the suspect’s vehicle. Valentine was taken to the Marion County Jail and is charged with driving under the influence and one count of possession of marijuana with intent to sell. News reports indicate that Valentine has been in trouble with the law before, and was arrested for DUI and possession of illegal bath salts in February of this year. In Florida, the criminal penalties for possession with intent to sell include a maximum of 5 years in prison; the penalties an individual may face depend on other factors, such as whether the offense occurs within 1,000 feet of a school, church, park, or home. Michigan drug crime defense attorneys know that while the use of marijuana may be legal in Colorado, the criminal penalties in most other states for possession or possession with intent to distribute/sell are still very harsh. In Michigan, individuals who are convicted of possession of marijuana with intent to sell may face substantial fines and lengthy jail/prison sentences. 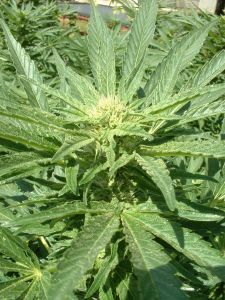 For example, possession with intent to distribute involving less than 5 kg of marijuana may leave the defendant facing fines of as much as $20,000 and up to 4 years in jail if found guilty. Marijuana possession with intent to sell is still a very serious charge in most states. If you have been arrested or charged, contact a skilled Michigan drug crime lawyer immediately to protect your legal rights and freedom.